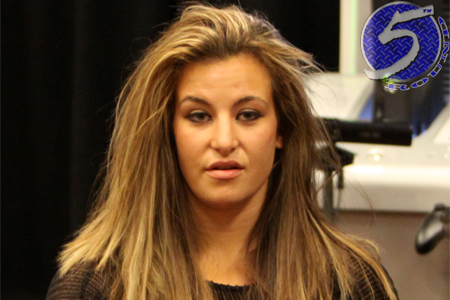 On Wednesday, a bantamweight battle between former top contenders Miesha Tate (pictured) and Sara McMann was announced for UFC 183. The January 31 event goes down inside MGM Grand Garden Arena in Las Vegas, Nevada. Tate will be riding a two-fight winning streak into the tango. “Cupcake” most recently posted a unanimous decision over Rin Nakai in September. McMann, meanwhile, bounced back from her first professional loss with a split decision victory over Lauren Murphy. Both 135-pounders lost to reigning champion Ronda Rousey before their current wins.